The Dress Shop | Fashion Design Studio is your one stop for custom fashions made to fit you! Fashion Design Studio is your one stop for custom fashions made to fit you! 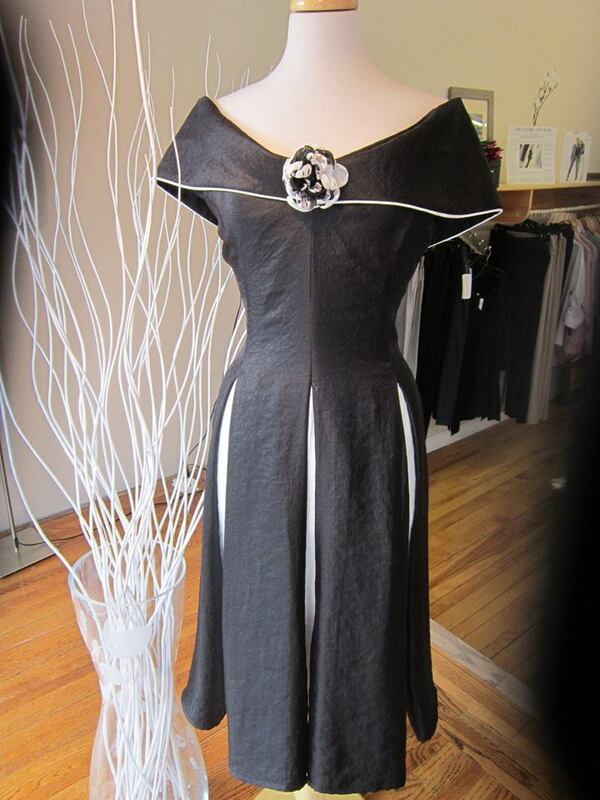 At The Dress Shop we carry our very own label, known as Dominica Maazur. These fashions can be custom fit to you and made on site. We also carry other quality Canadian lines. We welcome you to stop by and check us out. The Dress Shop, where you can find 100% Canadian Designs made In House. We use the finest fabrics from Montreal and B.C. Including some wonderfully amazing pieces made with Bamboo, which has a fantastic drape, is so soft and cosy and is also completely machine washable. Make sure to stop on by at our Facebook page at www.facebook.com/thedressshop or to drop us a line at our email: thedressshop@mail.com Contact us by phone, at: (613)253-8080. Shop hours are: Mon-Wed 10:00-5:00, Thurs-Fri-10:00-6:00, and Sat 10:00-5:00. I was wondering if I design my own prom dress would you guys be able to make it for me? Also I need a price range if you can. Hello Tenika, We do not do custom design as you are requesting. The designer only works on her own patterns. Thanks for asking!